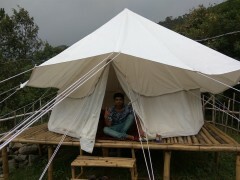 Travel into the scenic, Himachali hills at Bir and spend a night in the comforts of a dome tent. 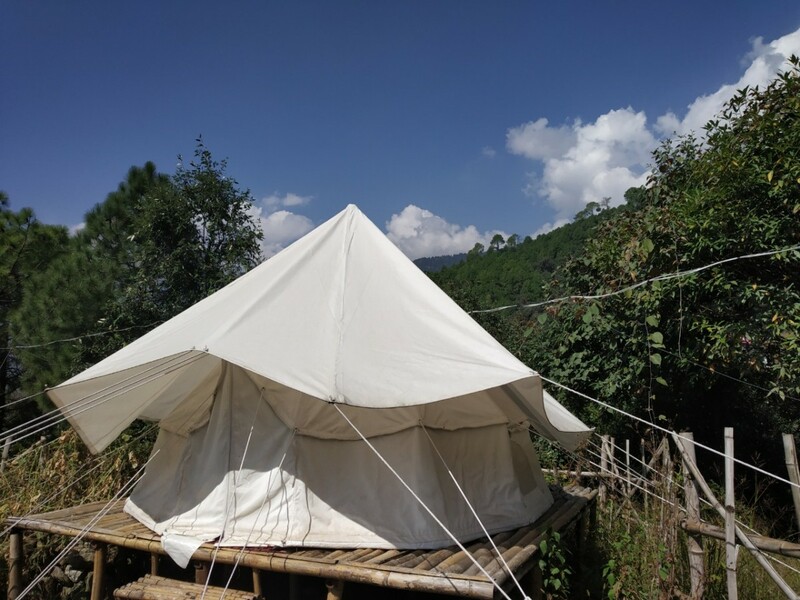 At the campsite, you can take a short trek to explore the surroundings of this beautiful camping ground, and enjoy a pleasant afternoon with your friends or family. You can head out to explore the town of Bir or book adventure activities like mountain biking, river crossing or rappelling at the campsite. In the evening, you'll gather around a bonfire at the campsite and watch the sun setting over the mountains. 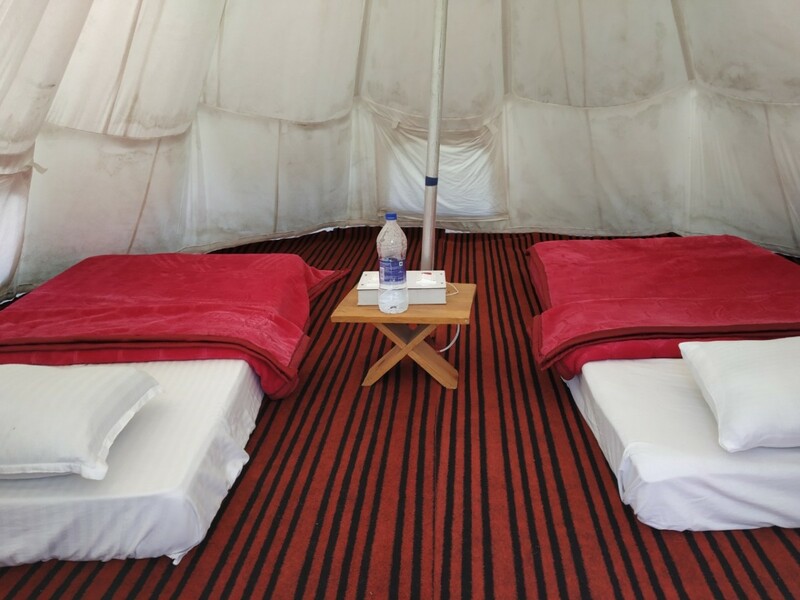 You'll be accommodated in dome tents, built on a raised bamboo platform, that come equipped with a comfortable mattress and pillows, plus a small bedside stand. You'll have access to shared washrooms at the campsite. • Stay in dome tents that offer scenic views of the campsite. This dome tent camping trip in Bir Biling is a non-strenuous activity. However, if you have heart conditions, blood pressure ailments, spine or knee problems, respiratory disorders like asthma please consult your personal physician before this trip. Arrive at the campsite by 12:00 hrs. Check-in to your dome tents and spend the rest of the day at leisure. Take a stroll to explore the beautiful camping ground, and enjoy a pleasant afternoon with your group. You can head out to explore the town of Bir or book adventure activities like river crossing or rappelling at the campsite. In the evening, you'll gather around a bonfire at the campsite and watch the sun setting over the mountains. Overnight in tents at the campsite. Have fun with your group. Overnight in dome tents at Bir Biling campsite. Check-in time at the campsite is 12:00 hrs. 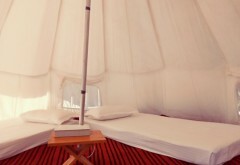 You'll be accommodated in dome tents on twin-sharing basis. The tents will be equipped with a mattress and pillows. 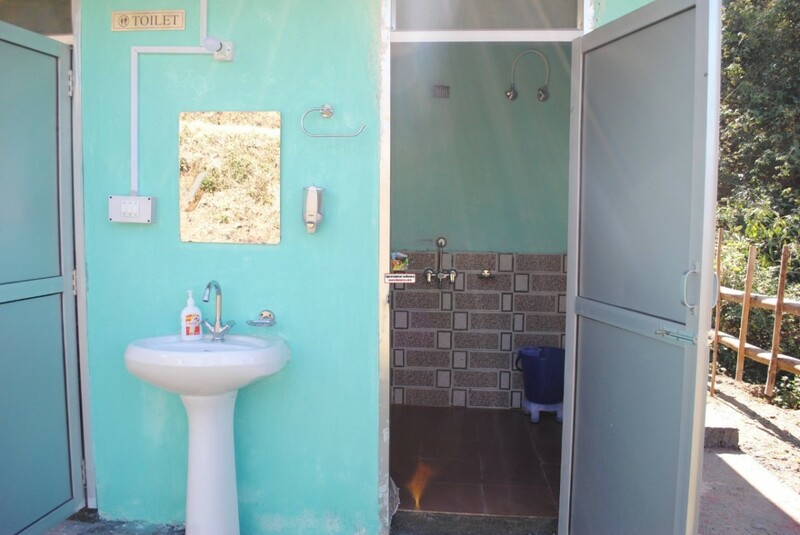 You'll have access to a shared washrooms at the campsite. Today's meal package includes dinner only. You can have extra meals at the campsite at your own expense. Inside view of the dome tents.